I’m not here to judge or say whether it is right or wrong to put pressure on ourselves. There is a belief that pressure helps you perform and if that works for you great, but I would also look at the toll it takes on your body. In my work with clients, I have noticed a significant pattern between my clients overall mental and physical well being and the amount of pressure they apply to themselves. It reminds me of a two-liter bottle of soda that reads “contents under pressure”. Many of us are that soda bottle building with pressure until we feel we are going to explode and sometimes we do. What I see on a daily basis is clients who are suffering from putting too much pressure on themselves and don’t realize even realize it. Why? Because it seems natural to be on edge, the whole fight or fight thing. The drawback is that our body and mind are not made to feel this way all the time. And all that built up pressure starts to feel uncomfortable. Then when we ignore the uncomfortable feeling, it turns into the physical: head ache, stomachache, and tension. This is happening because “the contents” are under pressure and it’s building without any release. Is this the reason you have IBS, Crohns or other illness? No. Is this a character flaw? Absolutely not. But it may be the reason your IBS gets worse at certain times. There is no real way to avoid all pressure in our society, things will happen and the stress will build. It’s more of a matter of finding a way to release the pressure. If you are an athlete and you are pressured in a tie game to win, you will naturally let go of the adrenaline and pressure through the physical activity. But what do you do if you live the life of the average person and feel the intensity that pressure adds to your life? If you are experiencing a rough flare up of your IBS, it may feel impossible to do any of the above activities and I understand that. However, I urge you to try at least one. You will notice when you take your focus off the IBS, even just a little bit, your anxiety is lowered and your body begins to relax more. With that relaxation you will get some relief. After you feel relaxed try to notice what happened before the flare up that may have contributed to you feeling a sense of pressure. If your pressure is work related or related to a relationship in your life you may notice that you keep trying and you aren’t getting the results you desire. Ask yourself why you are applying pressure and what you think the outcome will be. Then try to create other ways to achieve the same outcome that feel good to you. For example, if you notice after you spend time a family member your IBS is bothering you notice how you enter the interaction. Do you find yourself trying to be perfect? Do you feel defensive? Take the pressure off yourself of being a certain way and enter the situation. 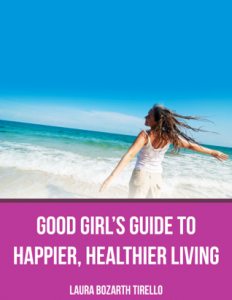 This entry was posted in Good Girls Career, Good Girls Health, Good Girls Relationships and tagged career stress, chronic pain, irritable bowel syndrome, pain relief, relationship stress, self-pressure, stress relief, successful living. Bookmark the permalink.